In Oil States Energy Services LLC v. Greene's Energy Group LLC, the U.S. Supreme Court will soon decide whether the U.S. Patent and Trademark Office’s inter partes review procedure is constitutional. IPRs are administrative procedures that review a patent’s validity. The administrative law body responsible for administering these procedures, thePatent Trial and Appeal Board, has been called the “patent death squad.” Analyzing the issues and the justices’ oral argument questions suggests most justices believe IPRs are constitutional, but it is not a foregone conclusion. The Supreme Court should issue its decision before the end of June 2018. Patent owners and IPR petitioners should be prepared for an outcome that goes either way. Patent owners considering enforcing their patent rights might want to delay filing a lawsuit by one, maybe two months. By then, if the defendant files an IPR, the patent owner will know whether the procedure is constitutional before spending significant money preparing a patent owner’s preliminary response, which is due within three months from the IPR petition’s filing date. And if there are early settlement discussions, the patent owner is likely in a much better bargaining position if IPRs are found unconstitutional. If not, the patent owner knows that it may face the challenge and expense of an IPR before even getting to litigation, as many cases are stayed pending the IPR procedure. For patent owners currently in an IPR or who will be facing one soon, they should make sure to preserve their rights to argue that the IPR process is unconstitutional. This includes raising a constitutional challenge in the patent owner’s preliminary response or in another filing. This should help prevent any argument that the patent owner waived such a challenge later. Patent owners should also consider raising due process issues by requesting litigation-type procedures, such as written discovery and depositions. Typically, such litigation-type procedures are greatly restricted in an IPR. If they are requested and denied that may provide additional grounds to challenge the IPR procedure on due process grounds. Finally, patent owners near the end of the IPR process that have lost claim scope should consider filing an appeal to review the Oil States decision and determine how to proceed. On the opposite side, defendants or patent challengers may want to wait until the Supreme Court’s decision to potentially save the costs of preparing an IPR and to gain the insight provided by the Supreme Court’s decision. But any delay must be balanced against the desire to stay litigation while the IPR proceeds, which can narrow or end the litigation if the IPR invalidates some or all of the claims. Because courts consider the stage of litigation in deciding whether to stay a case, waiting to file an IPR may decrease the chances a court will stay the case. Thus, understanding the specific judge’s views on stays is important when balancing delay against the benefits of a stay. Defendants or patent challengers should also consider ex parte re-examinations as an alternative to IPRs. Their limitations make them not as potent of a weapon given the limited involvement of the challenger, the patent owner’s ability to freely amend claims, and the challenger’s inability to appeal patentability findings. But ex parte re-examinations are not directly subject to the constitutionality challenge in Oil States and, depending on the quality of the prior art, can be an effective tool for a defendant. And they are far less expensive — both in terms of government fees and attorney fees. They have also become more efficient as the patent office re-examination group has not been as busy since IPRs became available, which took work away from the group. In some instances, an ex parte re-examination may even be faster than the IPR process. Thus, if a defendant has solid prior art, ex parte re-examination could be an efficient option. Should the court find IPRs unconstitutional, there are several considerations regarding what happens to previously canceled patent claims that raise some interesting questions. For example, could these patent claims be revived, creating “zombie patents”? Even if such a proceeding were possible, such patent claims may not be as valuable because the IPR process that killed them is at-issue in Oil States, not the underlying logic of the invalidity determination. A challenger could likely repackage the IPR arguments and file an ex parte re-examination, which one would expect to be decided the same given that the patent office would be deciding the issues under the same standards as the IPR. Thus, given their questionable validity, will a patent owner assert them? Asserting such a revived patent would presumably not violate Rule 11, but could potentially make a finding of invalidity, exceptional case and adverse fee award more likely. The question here is whether the differences in evidentiary and claim construction standards are enough to make the patents valuable in court, when the board canceled the claims in an unconstitutional process that employed different and lower evidentiary standards. The Federal Circuit has recently held that those differences are important. In PPC Broadband Inc. v. Corning Optical Communications in 2016, the Federal Circuit noted that patent claims canceled under the PTAB’s broadest reasonable interpretation standard might have been valid if applying the district court’s clear and convincing and narrower claim construction standards. If these patent claims are less valuable because they are tainted by a prior invalidity determination in an unconstitutional process, what will happen to them? They may find their way into the hands of a patent troll or nonpracticing entity, who will seek to extract any residual value. If IPRs are unconstitutional, parties should monitor any potential PTO or court filings seeking to revive patent claims relevant to their business sector that were invalidated in IPRs. This will help parties assess how to deal with them before they are forced to. 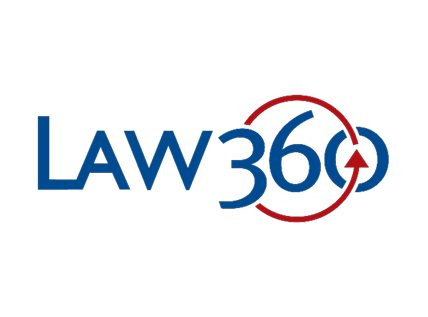 View this article on Law360.